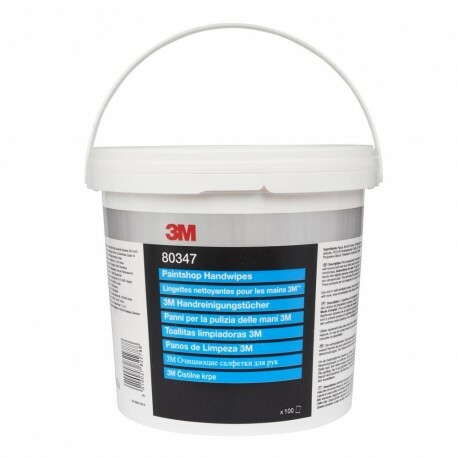 Use 3M Paintshop Handwipes to quickly clean hands of wet and dry paints, grease, sealants, adhesive and oil. Our wipes are infused with a moisturiser to help protect skin. 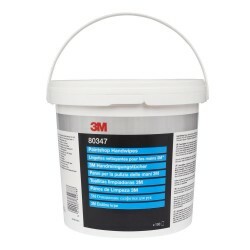 Designed for workers in the paint and bodyshop, 3M Paintshop Handwipes in their tub can be placed anywhere close to the workplace and offer a fast, handy way of cleaning hand. The special structure of the wipes in combination with the cleaning substances will effectively help to clean most wet and dry paints, grease, sealants, adhesive and oil of the hands. The wipes are also impregnated with a moisturiser, which helps to protect the skin.